I had to have a classic New York Yankee's cap, and I could care less about the Yankees. But there's just something about these caps that make the ultimate street style statement. 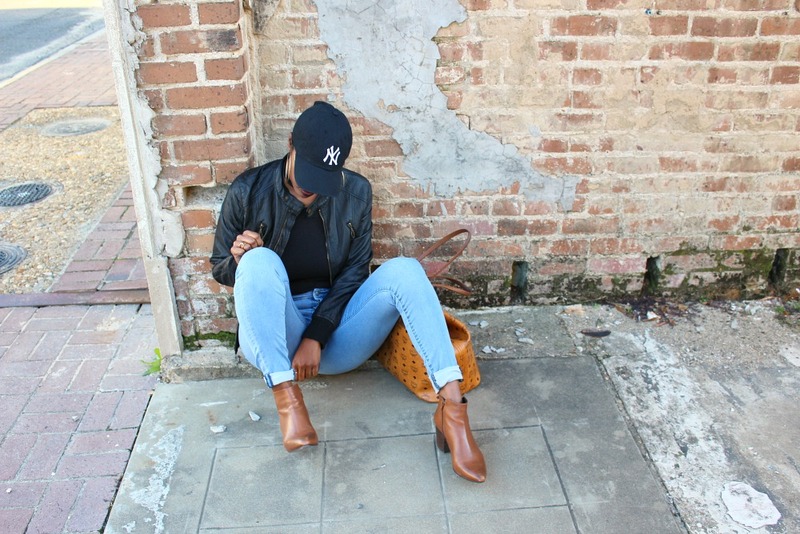 A New York Yankee Cap can turn any casual outfit up for men and women. 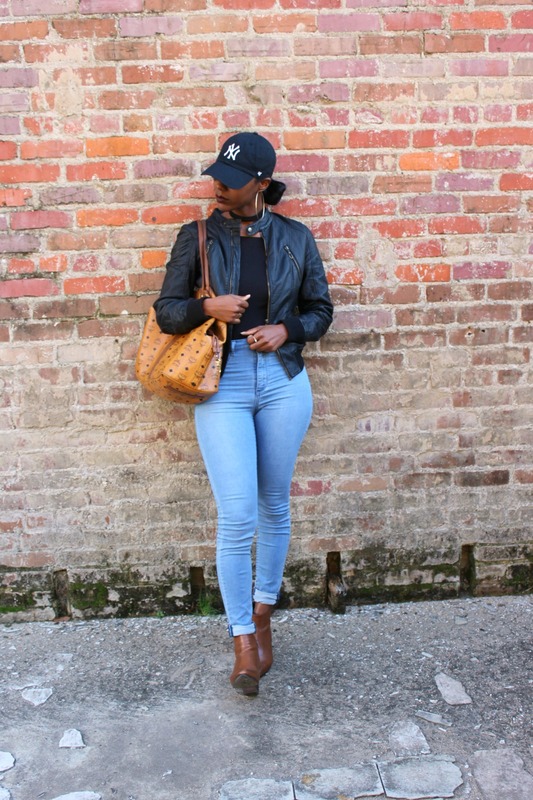 I paired my Yankee cap with an off-the-shoulder bodysuit, some skinny jeans, my Intuition choker, and my Steve Madden booties. This outfit can be worn to an event, while shopping, or on an outing with a friend. This fashion thing has no limits. You can pair sporty pieces with dressy pieces or inexpensive pieces with expensive pieces. It can be as simple as you want it to be or as extravagant as you want it to be. As long as it's authentically you, then you are always in style. Hope you all have a great weekend! My hope is that you branch out and do something new or something that makes you smile this weekend. I plan on exploring more of New Orleans. I've really been enjoying myself. I ate fried ribs (Lord Louisiana people fry everything!) and Vietnamese food for the first time this past week, and both were excellent! Who knows what else I will get into or eat this weekend....the possibilities and food are endless!